A new spin on a diorama that goes beyond anything you've ever made! 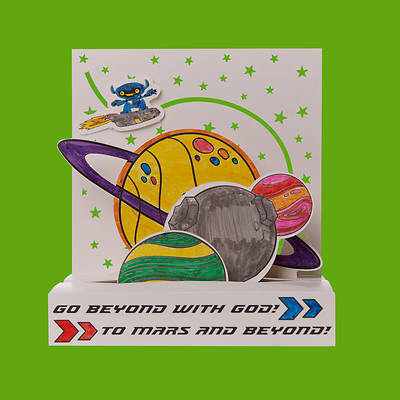 The 3D Planet Scene Craft Kit includes a star background, EP3-20 robot surfer, three planets, and the base. Comes on all-white paper and can be decorated however each child wants to. 7 1/4' x 8' x 4 1/4 when assembled.